Meet the participants of the World Hockey Summit. TORONTO (July 29, 2010) -- The 2010 Molson Canadian World Hockey Summit Steering Committee, comprised of National Hockey League Deputy Commissioner Bill Daly; Hockey Canada President & CEO Bob Nicholson; USA Hockey Executive Director Dave Ogrean; International Ice Hockey Federation General Secretary Horst Lichtner; Canadian Hockey League Commissioner Dave Branch; National Hockey League Players’ Association Chief of Business Affairs Mike Ouellet andMolson Coors Director, Sports & Entertainment Pat McEleney announced today details of the seven sessions that will provide the backdrop for the four-day Summit, August 23-26, in Toronto, Ontario. The World Hockey Summit will dissect the current state of hockey at all levels and collaboratively identify and address key concerns and issues facing the game today. The Summit’s theme, Global Teamwork Promoting the Growth of the Game, will be brought to life through interactive seminars, presentations, and discussions led by a who’s who of the global hockey world from the IIHF, the NHL, Hockey Canada, USA Hockey, and the CHL. The Summit begins with a reception followed by a series of interactive “hot stove” sessions at the Hockey Hall of Fame on Monday, August 23 (7:00 p.m. - 10:00 p.m.). The sessions will address the state of the game on a variety levels around the world. NHL Commissioner Gary Bettman will take part in an interactive Q/A session at a luncheon on Wednesday, August 25, while IIHF President Rene Fasel will be available for a similar session on Aug. 24. The Summit is open to the public and registration information can be obtained online at worldhockeysummit.com. Each session will be entirely interactive and feature guest speakers and panelists from across the hockey world. The session topics will include: Player Skill Development; Junior Development in the World; Vancouver 2010 Evaluation; Establishing a Long-Term Global Event Agenda; Women’s Hockey after 2010; and Growing Participation in Hockey. Speakers: Dr. Steve Norris, Director of Sport Physiology & Strategic Planning at the Canadian Sport Centre for 2002, 2006 and 2010 Winter Olympics, and Dr. Mark Aubry, Chief Medical Officer of the IIHF and Hockey Canada. Speakers: Slavomir Lerner, director & head coach, Czech National Team; Murray Costello, IIHF Vice President. Panelists: Darcy Regier, Buffalo Sabres general manager, Tommy Boustedt, director of hockey development and national teams with the Swedish Ice Hockey Association; Jim Johannson, USA Hockey assistant executive director of hockey operations; Kelly McCrimmon, Brandon Wheat Kings general manager & coach; Jan Filc, vice president of Slovak Ice Hockey Association; Tom Anastos, Central Collegiate Hockey Association Commissioner. Speakers: John Furlong, CEO of the Vancouver Organizing Committee for the 2010 Olympic and Paralympic Winter Games; Rene Fasel, IIHF president; Timo Lumme, IOC managing director, television & marketing services. Panelists: Ken Holland, Detroit Red Wings executive vice president & general manager; Daniel Alfredsson, Ottawa Senators; Jamie Langenbrunner, New Jersey Devils; Brian Cooper, Hockey Canada, director of the foundation board of directors; Igor Kuperman, vice president of European operations for Pointstreak Sports Technologies, Inc.
Speaker: Ralph Krueger, former Swiss National Team coach. 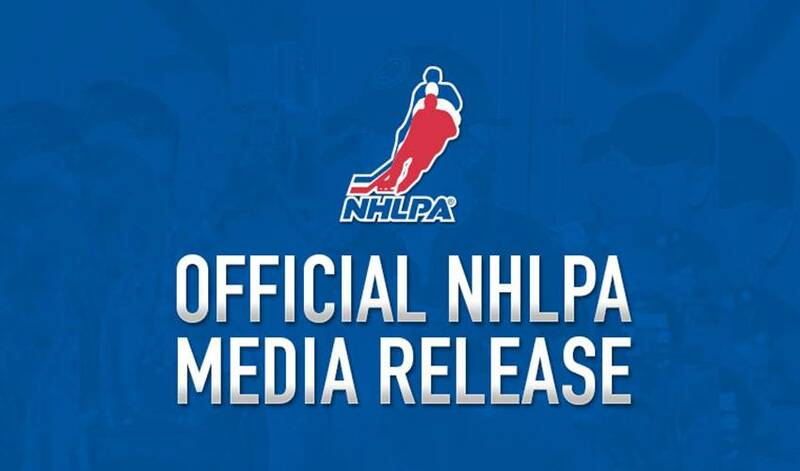 Panelists: NHL Deputy Commissioner Bill Daly; Toronto Maple Leafs President and General Manager Brian Burke; KHL President Alexander Medvedev; New York Rangers European pro scout Anders Hedberg; Hockey Night in Canada broadcaster Glenn Healy; Paul Romanuk, international broadcaster. Do federations have a vision for women’s hockey and visionaries who are prepared to commit to the cause? How should the IIHF assist emerging nations? Speaker: Hayley Wickenheiser, Canadian National Women’s Team. Panelists: Mel Davidson, Canadian National Women’s Team coach; Mark Johnson, Head Coach of 2010 U.S. Olympic Women’s Ice Hockey Team ; Arto Sieppi, Finland’s director of women’s ice hockey; Peter Elander, Swedish coach at 2010 Olympic Winter Games; Angela Ruggiero, U.S. National Women’s Team. Growing hockey means both recruiting new players and retaining our current ones. It is important to promote positive messaging about our game and share best practices from around the world. Chicago Blackhawks President John McDonough; Ottawa Senators Sports and Entertainment President Cyril Leeder; Finland’s Director of Women’s Hockey Arto Sieppi; Tommy Boustedt, Director of Hockey Development and National Teams with the Swedish Ice Hockey Association, Dr. Paul Dennis, professor of sport psychology at the University of Toronto and York University; Hockey Canada Chief Operating Officer Scott Smith; and USA Hockey Assistant Executive Director, Membership Development Pat Kelleher will bring the Summit to a close by sharing their experiences and best practices in growing the game at all levels.